I have watched a lot of football in my time. I’ve not been to that many live professional games – four in total. But despite such apparent apathy I have seen hundreds if not thousands of football matches. I have seen them on television screens (from black-and-white era to Smart TVs), I have seen them on computers, tablets, mobile phones, public screens, cinema screens, videotapes, DVDs and on Steenbecks. I have seen full games, fragments of games, highlights, summaries. 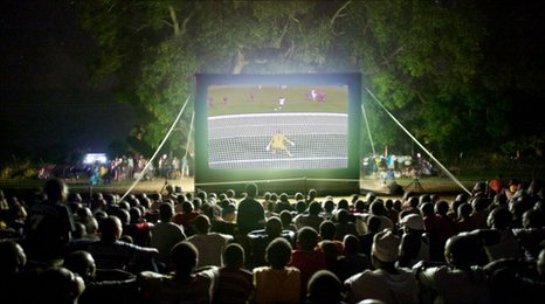 I have seen football matches as actuality, drama, animation and computer game. I have listened to games. I have read descriptions of games. And every time I have experienced a football match, it has been the same game, and the same performance. It takes place on the same stage with roughly the same dimensions wherever it is played. It takes place over the same period of time (extra time notwithstanding). Eleven players from one team meet eleven players from another team, and each side attempts to propel a round ball into a net positioned behind the opposing team, and to do this more than the other side, while they mutually abide by an agreed set of rules. It is the same story every time, with just two outcomes – a win for one side, or a draw. On the face of it, this is absurd. What entertainment value is there in seeing the same limited story played out over and over again? A team wins or loses, it goes up a league table or down it again, it gets so far in a knockout tournament before being knocked out of it. It has no inherent meaning, there is nothing to be learned from it. It simply goes on and on. Yet billions watch the game, mostly on a screen of some kind. Why is this so? They must do so because it satisfies as drama. Of course partisanship is an important part of the appeal, because it is what drives the narrative. There must be heroes and villains for a drama to succeed. However, such partisanship is a means to understand the drama, not the end in itself. Football supplies our need for stories; for this reason it qualifies as one of the arts. If so, then what are the arts? This usually supposes a creative work presented before a public i.e. it is something produced by an artist and then offered to an audience in a recognised form, such a book, play, song, painting or whatever (one of the reasons conceptual art is such a challenge for the public is because it increasingly rejects any form that might capture it, thereby negating its status as art). Football has no such creator. A manager may organise a team to play in a particular fashion, and there may be individual examples of artistry displayed within a team – which are important, if supplementary, part of the game’s appeal – but what we see is not the playing out of the work of another’s imagination, as in a film or an opera. In this respect its art is purely mechanical, a following out of patterns within strict parameters. But we can look at this differently and say that the artist is incidental to art, or simply another form of mechanics, an agent by which the artform comes to be understood by its public. What matters is not that a work has a creator – or at least, as in an individual footballer’s skill, it is of supplementary importance – but that it is understood by an audience. A book or a painting or a song can be enjoyed without the recipient being aware of who its creator is. It is not of fundamental importance to the fulfilment of the audience’s need. We, the audience, need experiences which crystallise our understanding of life, be this in the form of a story, or picture. All art ultimately boils down to being a story or a picture, expressing experience in time and space. (Music and song in this argument fit under story). Football therefore qualifies as one of the arts because it fulfils the need for stories, and to a degree supplies a pictorial pleasure as well. But the problem still remains of the repetitive nature of such art. It is always the same story, with little in the way of character or detail to alleviate the spectator from the unremitting inevitability of it all. This can only be a vital part of its appeal, and not the problem it might seem to be. It is the comforting familiarity. It is the endless variation on a theme. It is the intimation of immortality, the sense that all else may live or die, but a game of football is always being watched somewhere in the world and always will be, and always the same. Football therefore qualifies further as art by the reassurance that it provides. It is the story we can always turn to. Yet there is more to football as art than the playing out of eternal tropes. Football is a reflection of social, cultural and aesthetic understanding. Watching England play at the World Cup in Brazil tells us more about the country’s place in a post-imperial world with globalised economics than one might ever gain from, say, a David Hare play. It is all there in the harsh clash between sentimental hopes based on a narrow nostalgia and the hard realities of action played out in the present day. There are the individual players, elevated by public expectation and too often brought down by physical inevitability. Football plays out as spectacle, thriller, tragedy and farce. Football also holds a special place in the arts, because of the relationship between the game seen live, and the game as it is most often experienced, on a screen. The latter must recreate the former. A football game is meaningless without the crowd, through which we understand the drama’s import and the narrative is propelled forward. Live cinema screenings of theatre plays rather awkwardly encompass the audience as part of the entertainment. For football, the crowd makes us realise what we are seeing. It reminds us that we are the ultimate creators of this drama. All of this is true for other sports, of course. Football has primacy only because it is so globally popular, though it has a special status through the way it works so well on the screen. There are the opposing sides, arrayed left and right, each seeking to invade the other’s territory. There is the size of the ball, ideally proportioned (roughly the size of a human head) to gain the attention of the casual eye. There is the patterning of formations (4-3-3, 4-4-2, 5-3-2) for those who want to look more deeply into how eleven intersects with eleven in space. 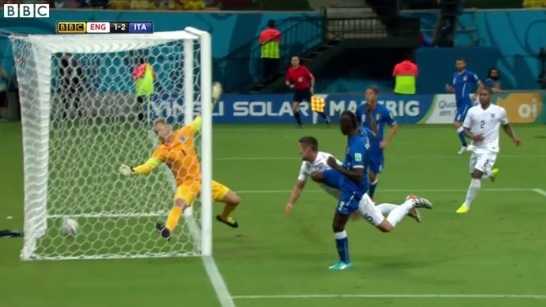 There is the particular combination of long, medium and close shots, with restrained camera movement and rhythmic editing, that determines how football is best displayed upon a screen. And there is the game’s duration – ninety minutes, with interval, the ideal length for the unfolding of drama, as centuries of theatre and decades of cinema have taught us. Football must be considered as one of the arts. Why else I have put my book down and decided to watch Argentina versus Bosnia-Herzegovina?